Garage doors have made big advances in both technology and design. With more and more types of garage doors on the market, homeowners are starting to recognize the benefits of garage door replacement. Whether you are tired of looking at a worn garage door or are concerned about home security, new garage door installation can make a huge difference in your day-to-day life. Below, you will find the 5 signs it’s time to say goodbye to your old garage door. If you are interested in taking the next step and installing a new garage door, we recommend you hire an experienced garage door installer in your area. It happens. The newest driver in your family forgets to put the car in reverse and crashes through your garage door. Your garage door didn’t deserve it, but now you have to either look at a crumpled door or shell out money for garage door replacement. A reputable garage door installation company is only a phone call away. There’s no reason why you should have to live with a damaged garage door. 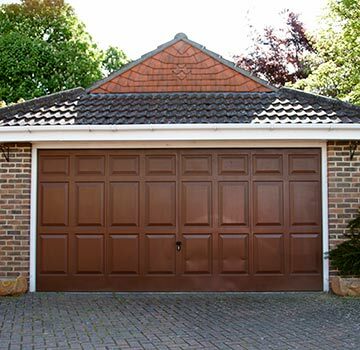 The typical lifespan of a garage door is 30 years. If you notice multiple panels on your old garage door that are scratched or rusted, you may want to consider garage door replacement. Over time, wooden garage doors can show signs of aging through cracks and warps in the door. For aesthetic purposes, you may want to replace your old garage door with something that looks nicer. While it can be incredibly convenient to know what time your teenage children come home, noisy garage doorscan quickly grate on your nerves. Over time, garage doors may need new rollers, lubrication, or other simple repairs to keep them quiet. Once you’ve done all that work maintaining the functionality of your garage door opener, you might want to treat yourself to a new garage door if you notice it’s damaged or getting worn. The biggest reason why homeowners decide to install new garage doors is because they want to update the look of their home’s exterior. A new garage door in a bold color can be a great way to add visual interest to your home’s exterior design. Garage door stylescan also be coordinated with the architectural style of your home. How cool is that? There is way more selection for you to choose from than there was 10 years ago. Garage doors can take up as much as 20% of your home’s façade, which is why homeowners generally report high levels of satisfaction after garage door installation. Anything that improves the appearance and functionality of your home gives you a big return on investment, especially if you are selling your house in the near future. When prospective homebuyers pull into your driveway, you only have a few seconds to impress them. A strong first impression can persuade even the pickiest homebuyers to walk through your home and potentially make an offer. If you are interested in our garage door installation service, please feel free to give us a call at (269) 329-1800. The Portage garage door installers at Abode Building Center work hard to make sure clients are happy with the appearance and functionality of their new garage doors.